Passwords are designed to protect your precious device from unauthorized usage but it is very easy for you to become that unauthorized person if you forget the password. It will be impossible for you to access your own device. Windows provides a lot of security measures for such situations, you will not be able to bypass that lock easily but there are ways. 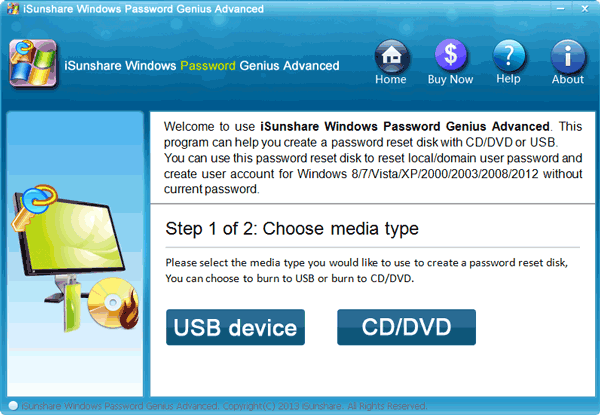 If you ever need Windows Vista Home Premium password reset, then you can try some of the easy but effective methods discussed below. If you have forgot password Windows Vista Home Premium then try the password recovery from the built-in Administrator account. It is the easiest available method. Step 1: Start the laptop/desktop and in the log-in window select Administrator account. You will be able to access the account without any password. Step 2: In the Administrator account, tap “Windows + R”. Step 3: The “Command” box will open, where you need to type “cmd” and tap “Enter”. Step 4: Then, type “net user coco 123” and tap “Enter”. Now, if you get the message “The Command has completed successfully” then the password of the user account coco has changed to 123. 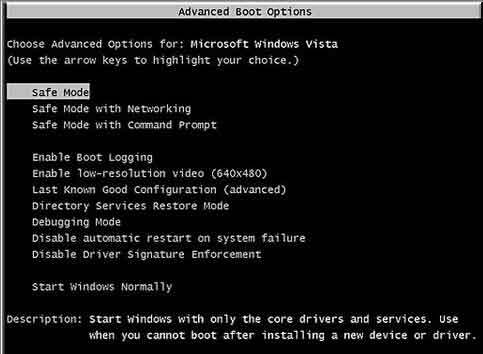 If you have tried to reset Windows Vista password using the Administrator account and it failed then you can give it another try from the Safe Mode. It is a legitimate procedure; the Safe Mode provides various services for Windows-operated devices. Step 1: Simply, reboot the laptop and start tapping F8 to enter Boot Menu. Step 2: When you are in the Boot menu, you can use the “Arrow” keys to highlight “Safe Mode” and then tap Enter. The Laptop now will boot into Safe Mode. Step 3: Now, go to the Administrator account, this account does not require any password, but you have particularly set a password for this account then you have to provide it, it will be very unfortunate if you have forgotten it, you won’t be able to proceed any further. Step 4: In the Administrator account, go to “Control Panel”. Step 5: Then, click on “Control Panel” and select “User Accounts”. Step 6: Your work is almost complete, you just need to select that particular account and then select “Change Your Password”. Step 7: Now, simply provide a new password as next time you will be using it to get access to your Laptop. The password reset has been completed successfully, reboot your computer from the Safe Mode and you can enter the computer with your new password. If you are looking to recover the lost password Windows Vista Home Premium then Windows Password Recovery is your best option. The Safe Mode is always a good alternative and you may even try Windows Vista Home Premium Password Reset Disk but if you have lost the password for your Administrator account then you can only rely on this third-party software. Step 1: Download and install the software and then insert a blank USB drive. Step 2: Then, launch the program and choose the USB drive from the menu. 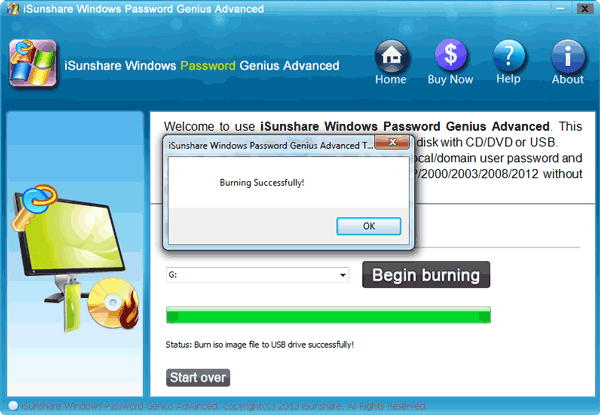 Step 3: After that, select “Begin Burning” and the program will make a password reset disk. Step 4: After you have successfully made the disk, now just click “OK” and finish the procedure. Step 1: Insert that USB drive that contains the software into the locked Laptop. Step 2: Then, reboot the device and tap “F12”/“ESC” continuously to enter Boot Menu. Step 3: After you are inside Boot Menu, select that USB drive and hit ‘Enter”. Step 4: Now, Windows Password Recovery will load on the Laptop. Step 5: After loading is complete, you need to select the Windows system and choose the account whose password you need to reset. Step 6: Finally, click on “Reset Password” below. 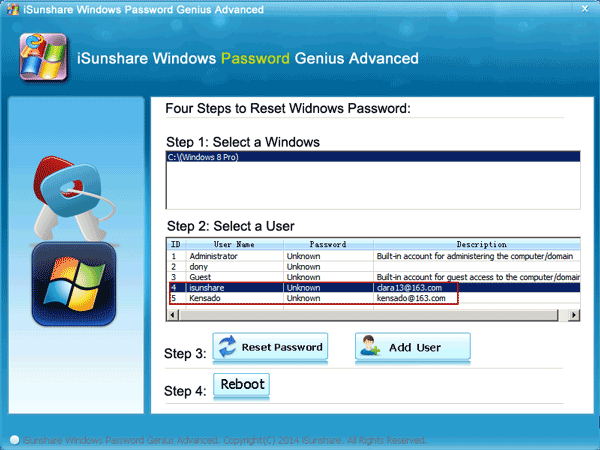 This is probably the simplest and most effective method of Windows Vista Home Premium password recovery. After the procedure is finished, the device would reboot automatically. There are very user-friendly and effective procedures to bypass password Windows Vista Home Premium PC. The built-in Administrator account and the Safe Mode options are very capable, but they will not be able to keep up if your Administrator account is locked. If you want to get that account unlocked then you will need to get help from Windows Password Recovery. Go for it!